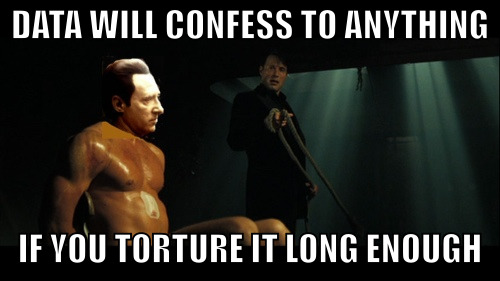 Data Will Confess to Anything…. Remember this the next time you see some statistics. Or a report. Or anything that appears on Wikipedia. Ha Ha Ho Ho Ho–at North Pole, Inc.